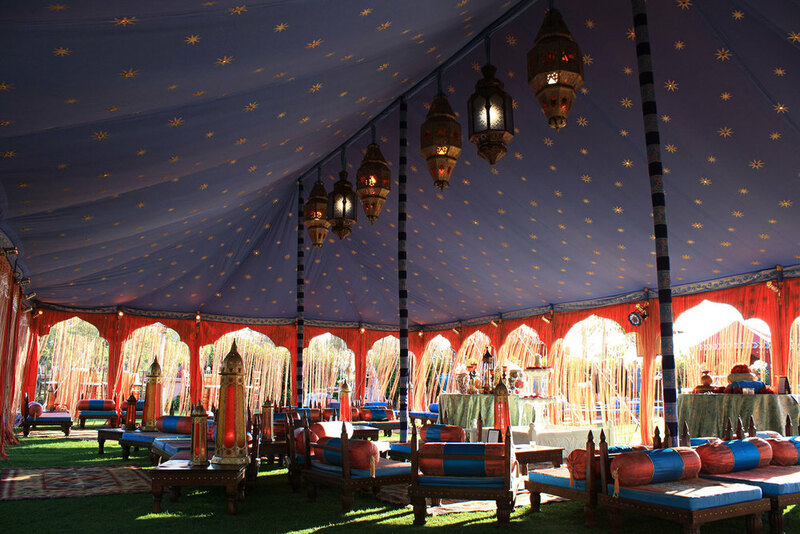 Morocco has been influenced by many cultures throughout its history and returns the favor, reflecting back a style that is cosmopolitan, mysterious, dramatic and yet friendly and welcoming. 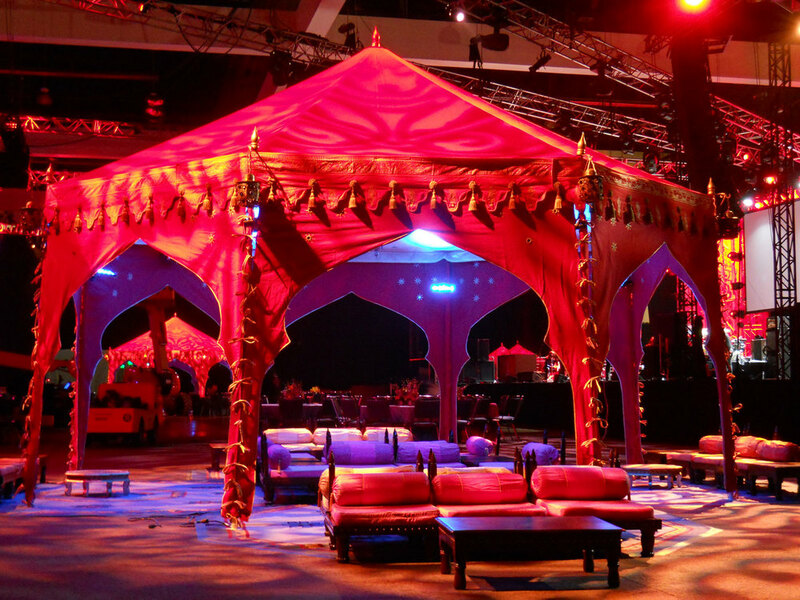 Some of our favorite events have been Moroccan themed, allowing for strong design elements like arches, vivid contrasting colors, and elaborate lighting. 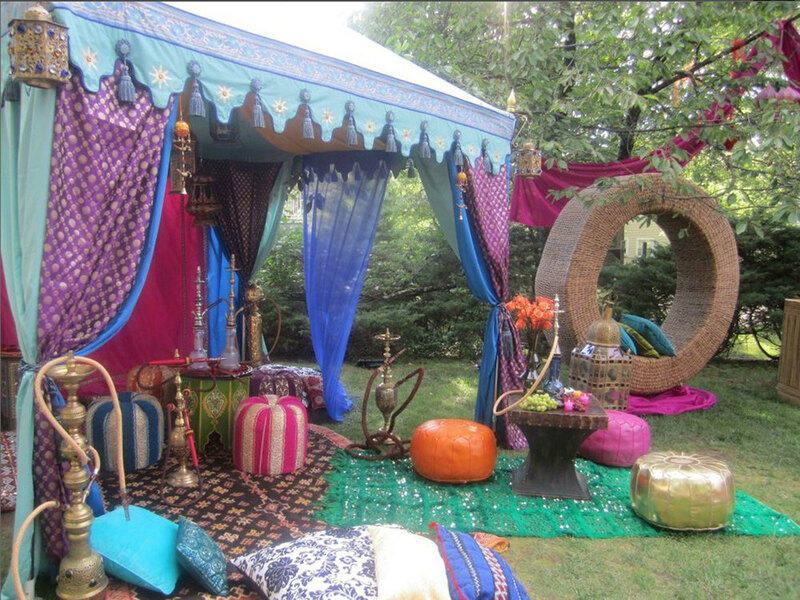 Arabian Nights, 1,001 Nights, Midnight at the Oasis and Rock the Kasbah themes are corporate Holiday Party favorites as well as a great choice for a private birthday party theme. 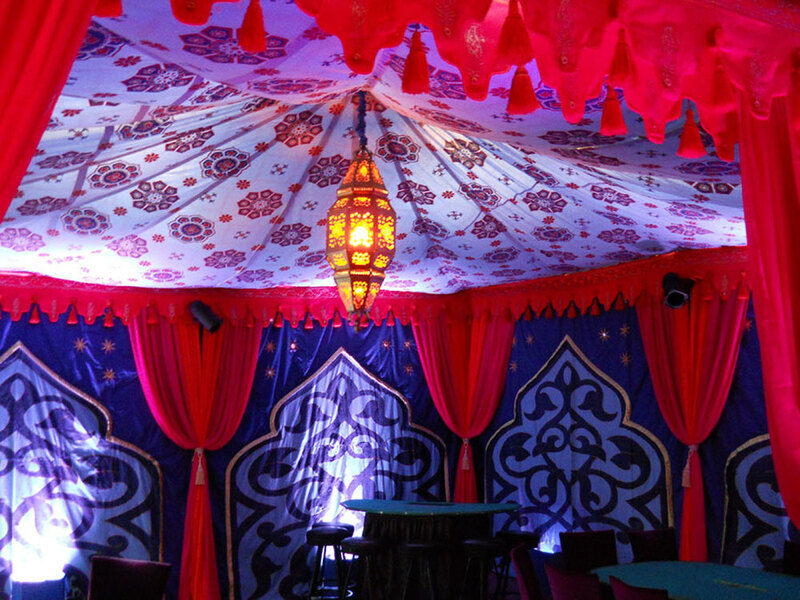 Send your camel to bed, it’s Midnight at the Oasis! 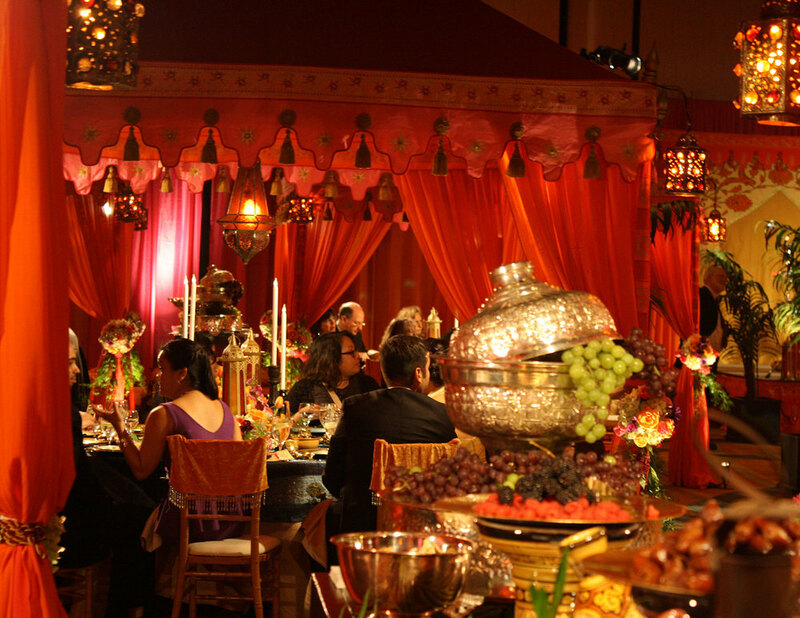 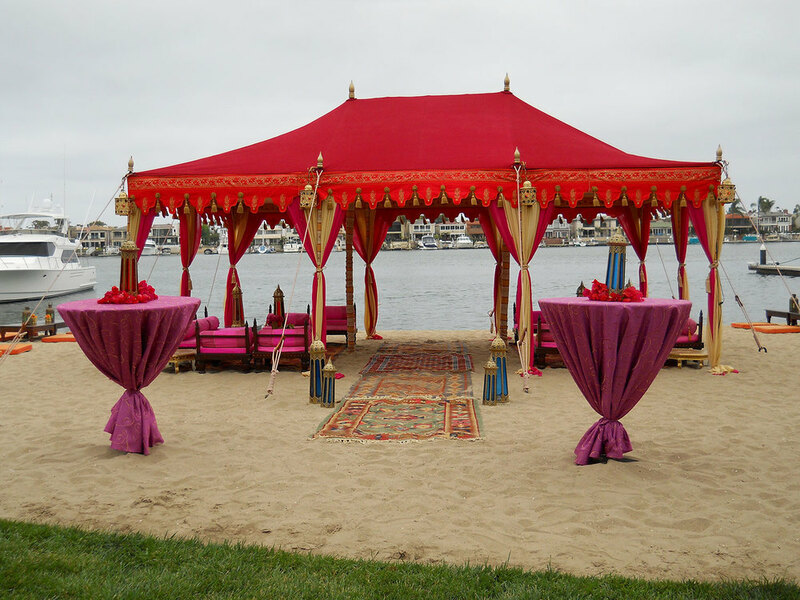 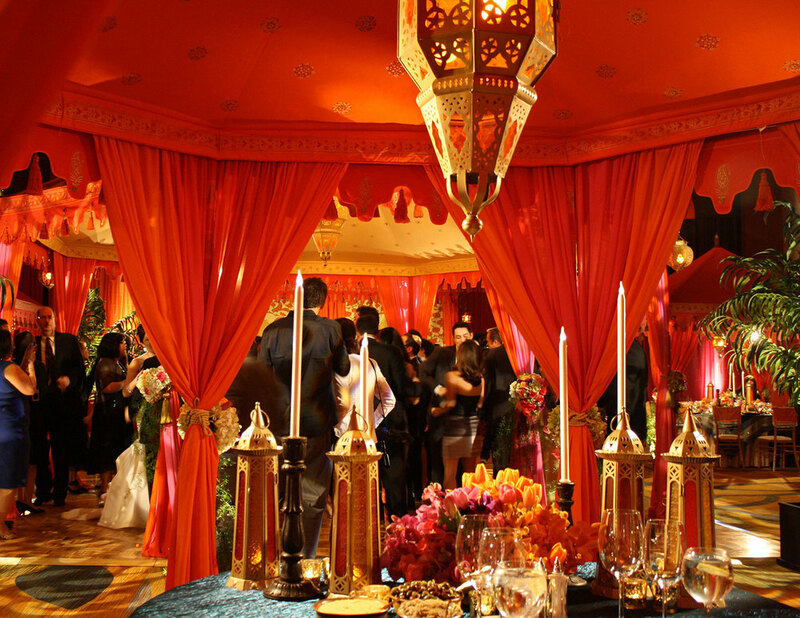 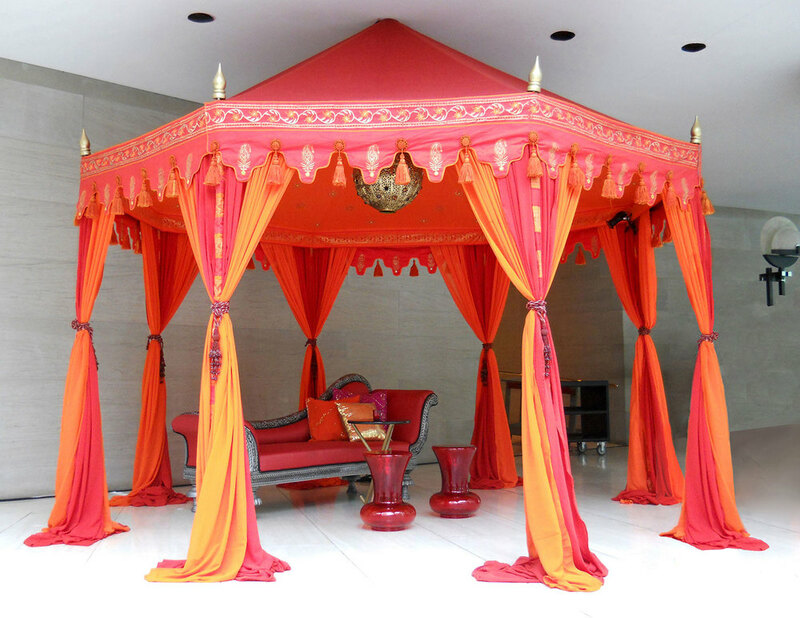 Arabian Nights is a perennial favorite theme for Gala celebrations of all kinds. 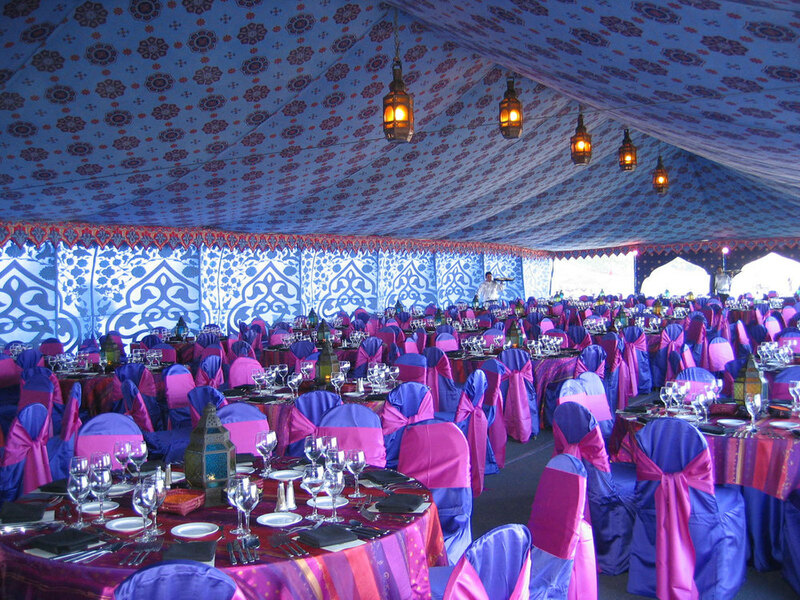 Strong designs and deep, rich colors typify the Moroccan theme. 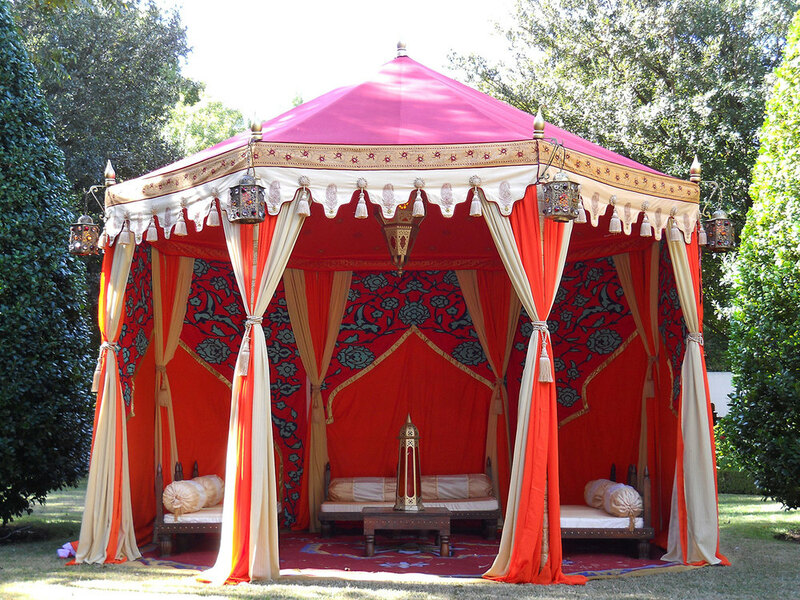 Raj Tents extensive inventory will really ‘Rock the Kasbah’ for you.